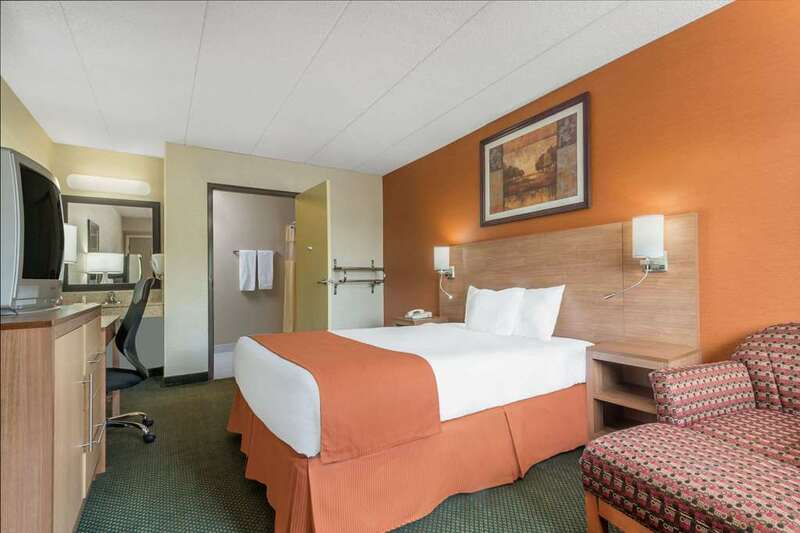 Our Days Inn is the most conveniently located hotel to the Ohio State Fairgrounds, Crew Stadium and the Ohio Expo Center. With just a short walk to the Fairgrounds, we are the ideal choice for your lodging needs in the area. Our hotel offers Free Continental Breakfast, Free Wireless High Speed Internet, Free Guest Parking and are adjacent to McDonalds. Each of our modern appointed rooms feature Hair Dryers, In room Safe and Full Cable Television Channels, including HBO. Make the most of your visit by choosing the convenience of the Days Inn Fairgrounds. We are also convenient to The Ohio State University 2 miles, Ohio Stadium 3 miles, Nationwide Arena 4 miles, Children's Hospital 5 miles, Riverside Hospital 6 miles, Port Columbus International Airport 8 miles, and walking distance to State Highway Patrol Academy and Crew Stadium.